Hunter Valentine, or as I’d like to think of them, Wonder Women of rock n’ roll, started their journey as a band nearly a decade ago, and it has taken them all over the world, performing with legends, and even a stint on reality tv. 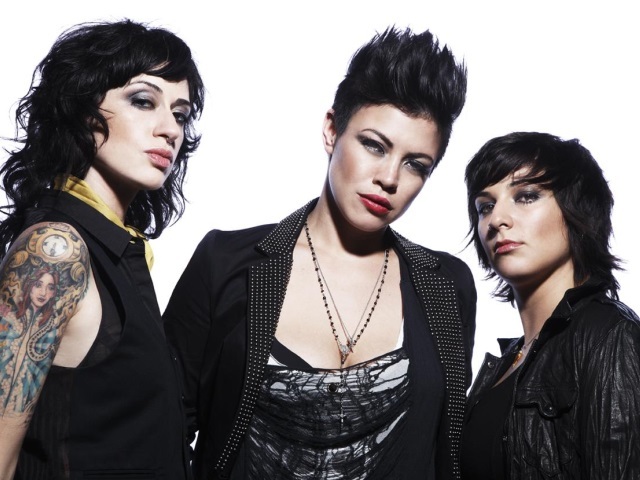 Valentine has shared the stage with the likes of Cyndi Lauper, Sum 41, and Sick Of Sarah, been featured in several reality shows; SHOWTIME’s “The Real L Word”, and VH1’s “Make or Break: The Linda Perry Project”, and conquered Warped Tour 2014 with us as one of our female-fronted rock bands. Their super charged rock style, no fuss attitude, and awesome personalities have brought their career to unimaginable highs in their ten-year career. Trio Caliente is a 3-piece Latin group from Washington, D.C. offering a unique blend of Flamenco, Pop & Brazilian Jazz. Since 2003, Trio Caliente has been enjoyed by political luminaries stateside and abroad; notable Fortune 500 companies; and venerated international organizations, festivals, and concert venues around the world. 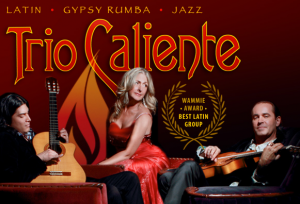 Whether providing elegant accompaniment to a formal dinner or sultry, throbbing rhythms that keep the dance floor packed all night long, Trio Caliente effortlessly creates the ideal atmosphere for any type of event. With vocals in Spanish, Portuguese, Catalan, and English set to a wide array of Latin grooves, Trio Caliente’s sound is reminiscent of The Gipsy Kings, Buena Vista Social Club, Strunz & Farah, and Jobim— but with a flavor all their own.